Home > Companies > Featured Brands > P.A.N. 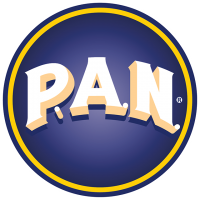 P.A.N. Its a unique product made of pure corn and Gluten-Free certified. The versatility and practicality of P.A.N. allows the presentation of varied and tasty dishes typical to each culture. Enjoy all of its presentations, white, yellow and sweet corn mix.